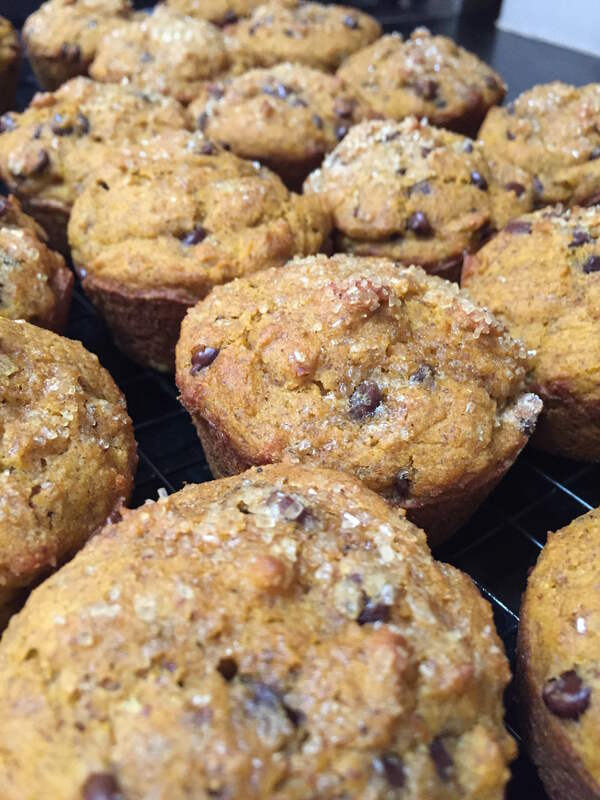 This recipe is a gluten-free, cow’s milk-free adaptation of my husband and son’s favorite muffins, Matt’s Chocolate Chip Pumpkin Muffins. 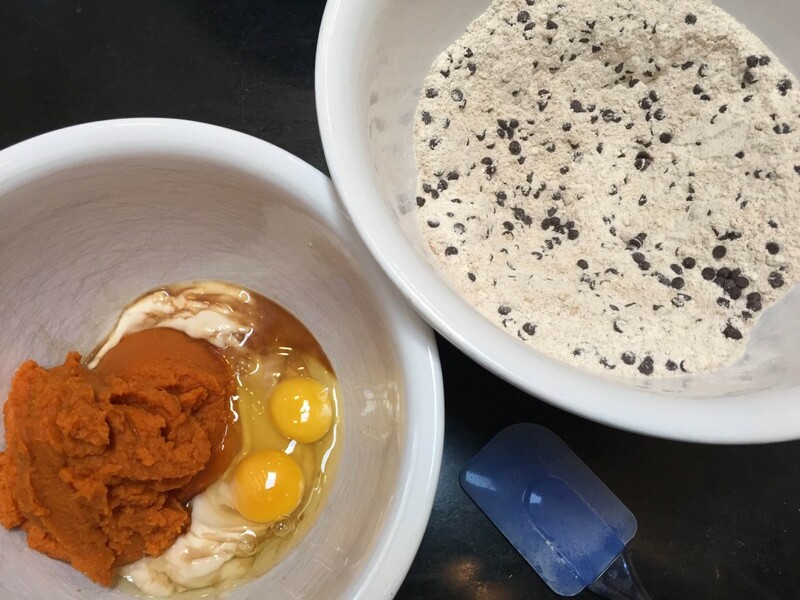 Changing the recipe involved using almond milk instead of cow’s milk, goat milk yogurt instead of cow’s milk, gluten-free flours, and gluten-free, dairy-free chocolate chips. 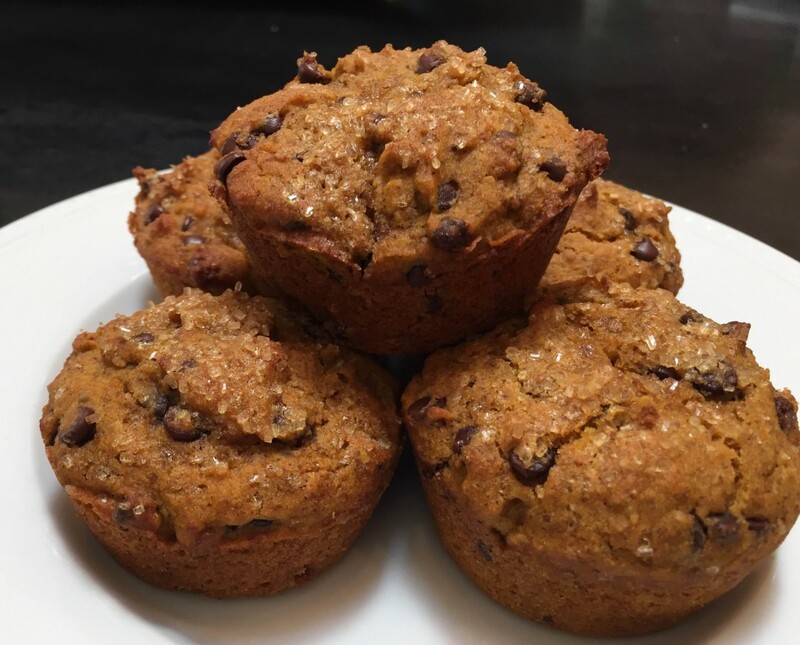 For a banana version of this recipe, see Gluten-Free Banana Chocolate Chip Muffins. Lightly spoon flours and flax meal into dry measuring cups. Combine these with next 9 ingredients (through salt) in a medium bowl, stirring with a whisk. Make a well in center of mixture. Combine pumpkin and next 6 ingredients (pumpkin through eggs); add to flour mixture, stirring just until moist. Spoon the batter into 24 muffin cups coated with canola oil cooking spray. Sprinkle turbinado sugar over muffins. 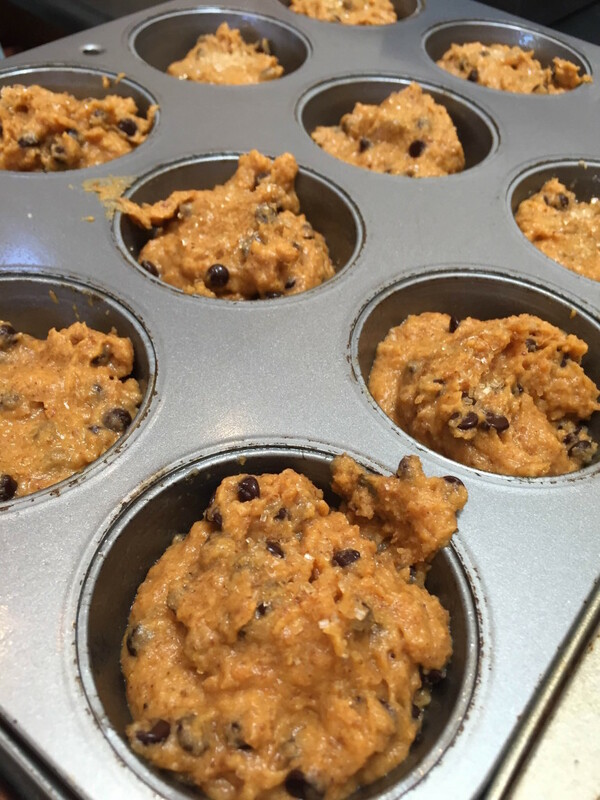 Bake at 375° for 15 minutes or until muffins spring back when touched lightly in center. Remove muffins from pans immediately; cool on a wire rack. This was my first attempt using goat’s milk yogurt to cook. 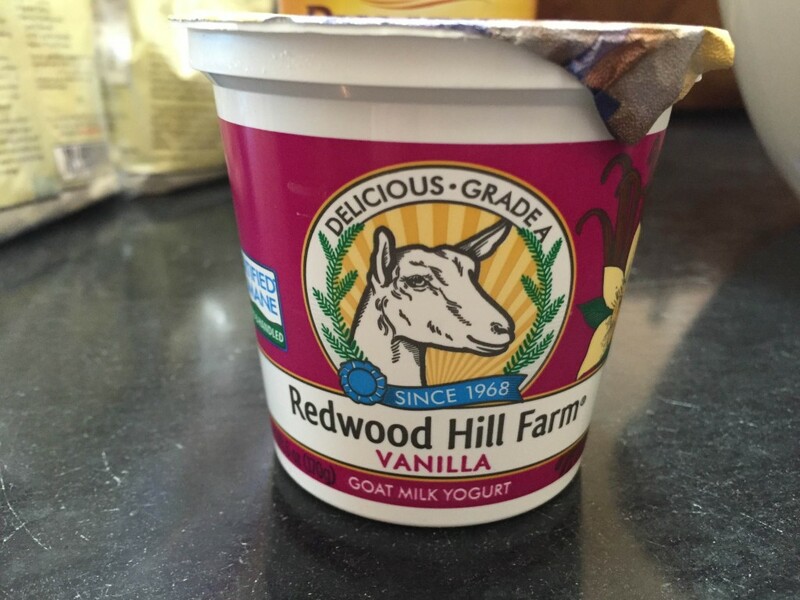 It worked great as a substitute for cow’s milk yogurt. Sprinkling some turbinado sugar on the batter before the muffins go into the oven gives them a nice crunch!